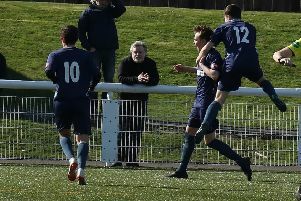 As the football season in the South of Scotland draws to it closing weeks there are a varied assortment of league and cup matches scheduled to be played on Saturday and midweek. On Saturday league champions Wigtown and Bladnoch travel to Sanquhar to play Nithsdale Wanderers and although the visitors are expected to take the three points from this match the home side having shown an inconsistency this season and are more than capable of producing a victory although this is highly unlikely with Wigtown having this seasons title in their grasp. This match kicks off at 1pm. Crichton entertain Newton Stewart at Dumfries High School for what could be a close contest although the visitors will go into this match as slight favourites to take the three points. There are four Cree Lodge Cup first round ties being played with the match at Palmerston Park between Heston Rovers and Lochar Thistle being the pick of the bunch in a contest that could go either way. The Creetown versus Mid-Annandale match could also go close but if the home side strike the good form that they capable of then it could well be them that takes their place in the next round. Mids on the other hand have a good finish to their league campaign and will be a tough nut to crack so this match should be an exciting one for the spectators. Edusport Academy have Fleet Star as their visitors to Hamilton for a match that they should win while Abbey Vale will go into their match against Dumfries YMCA with some confidence against the leagues bottom placed side. Monday night sees Fleet Star facing Upper Annandale at Gatehouse in a league match while Wigtown and Bladnoch travel to Dumfries to play YMCA in the first round of the Tweedie Cup. Lochar Thistle and Newton Stewart lock horns at Maxwelltown High School also in a Tweedie Cup first round tie. On Wednesday night there are four League matches due to be played with Fleet Star entertaining Edusport Academy at Garries Park while Nithsdale Wanderers have Lochar Thistle as their visitors to Sanquhar. Upper Annandale and Abbey Vale play each other at Moffat and Wigtown and Bladoch finish of their league campaign with a match against Dumfries YMCA at Trammondford Park. Fixtures for Monday 20th April, 2015.